Holidays are over and with some excitement and unwillingness at the same time kids are heading back to school. 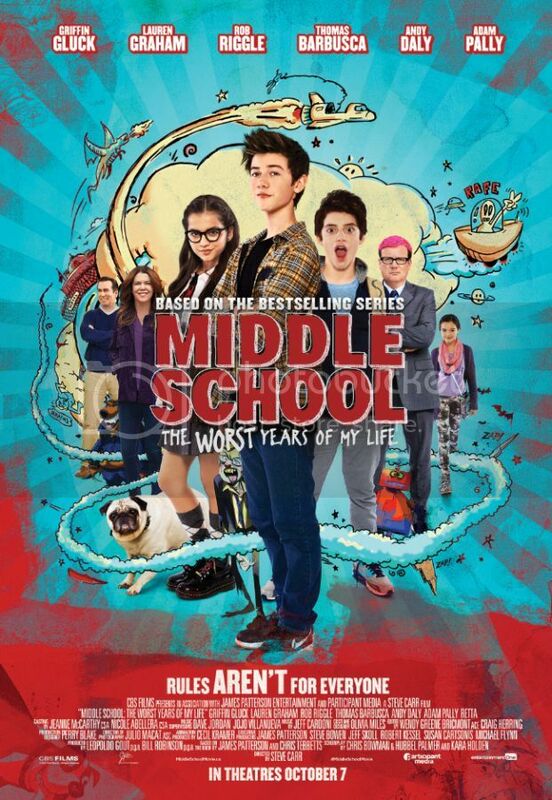 But fun is not over because "Middle School: The Worst Years of My Life" is now available Blu-ray! Based off the New York Times bestselling novel series, Middle School follows Rafe as he attempts to keep his sanity by breaking every single school rule while dealing with the awkwardness of adolescence, bullying and family issues. Middle School: The Worst Years of My Life chronicles the trials and triumphs of Rafe Khatchadorian, as he uses his wits to battle bullies, hormones and the tyrannical, test-obsessed Principal Dwight. Rafe has an epic imagination...and a slight problem with authority. Both collide when he transfers to an oppressive, rule-crazy middle school. Drowning in do's and don'ts, Rafe and his scheming best friend Leo hatch a plan to break every rule in the school's Code of Conduct. It's Ferris Bueller meets Home Alone as their battle with Principal Dwight explodes into chaos both real and imagined. But Dwight displays his own fiendish creativity, striking back at the rulebreakers. Meanwhile, Rafe struggles to hide his misbehavior from Jeanne, the straight-A, overachieving girl of his dreams, and at home, his mother's boyfriend -- a moochy, jack-of-no-trades named Bear -- threatens to become his stepfather. Rafe's revolution leaps from the page to the screen in this ambitious live-action/animated comedy based on the New York Times bestseller "Middle School: The Worst Years of My Life" by legendary novelist James Patterson. 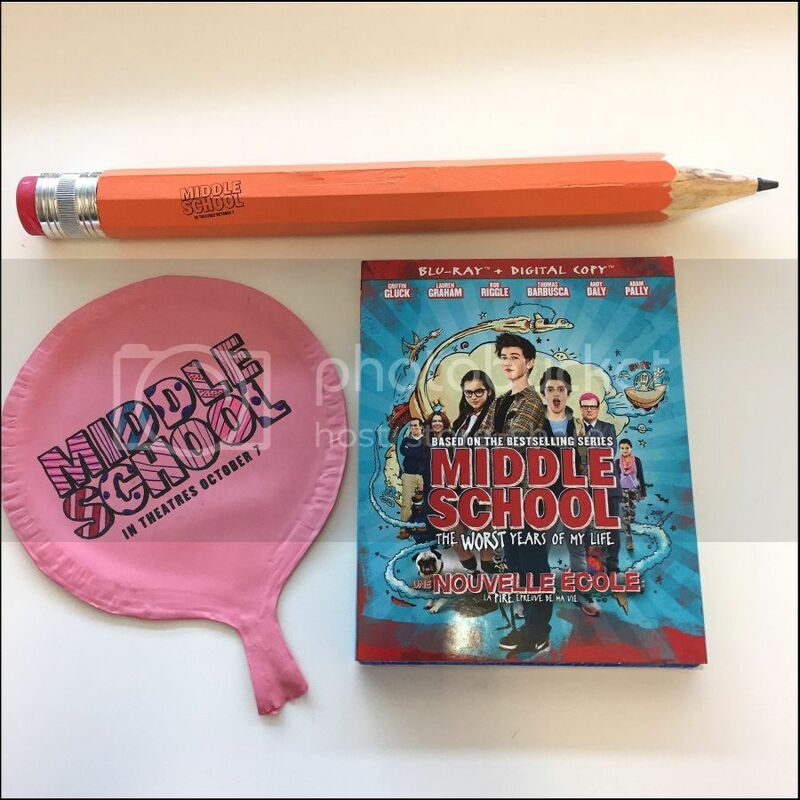 To celebrate the release we are in partnership with our friends at eOneFilms are happy to give away Middle School prize pack to one our Canadian reader. For your chance simply fill the Rafflecopter form below and Good Luck! The giveaway ends January 20, 2017. I would love to win this for middle schooler son. I would like to win this for the family and it will be great to watch when the grandkids come over!! This movie looked so funny in the trailer. I would enjoy watching this movie with my kids at the trailer or on rainy days. I would like to win this for the grandkids! I love to win it for my granddaughter. My 2 girls would love this movie! My oldest is in grade 5 so I'm sure she would relate. I would love to win this for my son who is currently in Middle School and really wants to see this movie. I'd love to win this for my nephew, he'd love it and relate to it. Thanks for the chance!! I would love to win this for my family as it would be a great addition to our family movie nights. I would love to win for my 11 year old daughter, Mikayla! This would be for my preteen twin girls. Would love to win this for my grandkids. My daughter is in middle school and she wants to see this so bad.